In today’s digital world, content marketing such as company blogs are more becoming more and more valuable to businesses and are a valuable tool in a business’s overall marketing strategy. Regardless of your industry creating content that is informative and engaging should be a priority to increase inbound traffic to your website and help you to become a thought leader and trusted source of information; as consumers, when we trust a company we are more likely to become a customer. Creating regular content for your blog will improve your website’s search engine optimisation and will help your target audience find you. Whether you are a blogging novice or a seasoned pro, planning your content is key to a successful blog. It is worthwhile taking the time to plan the articles you are going to write and the date you will publish them to the site. Without a plan in place there is the risk that the content will never get written. A good starting point when you are new to blogging is to plan to publish two articles per month, this is an achievable amount for you to manage and a good starting point to populating your blog and website with new and relevant content. When planning your articles think about topics that will be of interest to your target audience and also think about your keywords and search terms so you can tailor your content to these and help potential customers find you. One of the biggest benefits of content marketing is that is helps your website to consistently grow, whether you publish two articles per month or two per week, it earns you links to content which will greatly improve your SEO. Adding tags, keywords and meta descriptions will help to optimise your web pages and will help Google to index your content more effectively. It is important that your content is of high quality, it is always better to choose quality over quantity and you should not simply be writing for the sake of writing. A regularly maintained blog helps you to demonstrate to potential customers that you are a thought leader and expert in your field and helps build brand trust and loyalty. When planning your content think about your potential customer’s problems and why they may be looking for your solution. For example, our potential customers may be looking for a creative agency to manage their marketing because they do not have the time or expertise themselves. Blogs are perfect for promoting your business and telling your target audience what it is you do and how you can help them. Sharing your articles via your social media channels will promote your content to your followers and potentially increase your reach and awareness with every share or retweet your content gets. Adding social share buttons to your blog articles encourages readers to share your content via their own social media channels or by email. From regularly updating your blog to posting useful and informative content via social media, we can help your business. 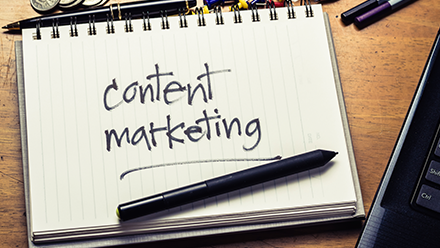 To find out more about content marketing get in touch with us on 01527 517309 or fill in our contact form.